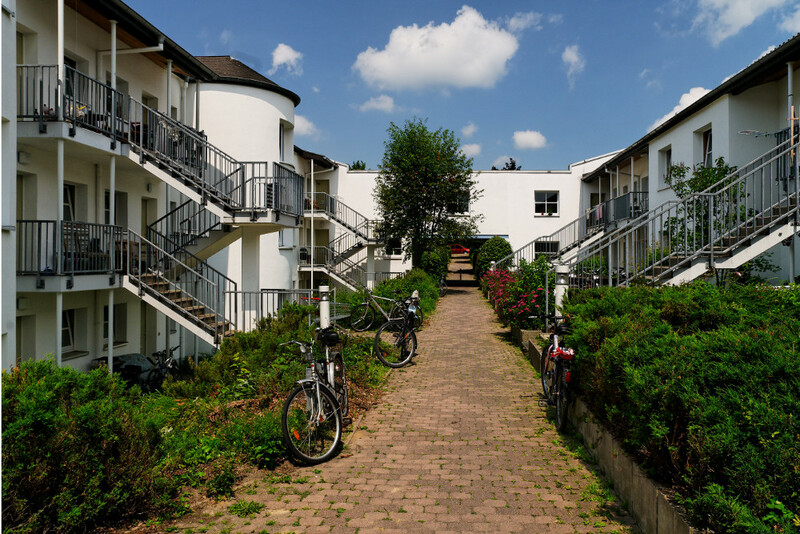 In the immediate vicinity of the hospital and the sports facilities of the university is one of the most idiosyncratic dormitory of the Studentenwerk, the dormitory "Am Papenberg" with 205 beds. Campus, canteens and the city centre can be reached by bike in less than ten minutes. The focal point of the dormitory is the green inner courtyard, from which all flats are accessible, partly via external stairs. Especially in summer, it is used as a learning area, play area, workshop or for spontaneous barbecue evenings and can, therefore, be regarded as an extended living area. The payments for the electricity purchase regulate students independently with the energy supplier of their choice. Joint application of 3 persons required. Joint application of 4 persons required.